We have been accumulating a wonderful selection of sapphires in every color in the rainbow. Sapphire gemstones are the mineral corundum. Many people don't realize that corundum can come in every color imaginable - orange, green, blue, pink, purple, and yellow. 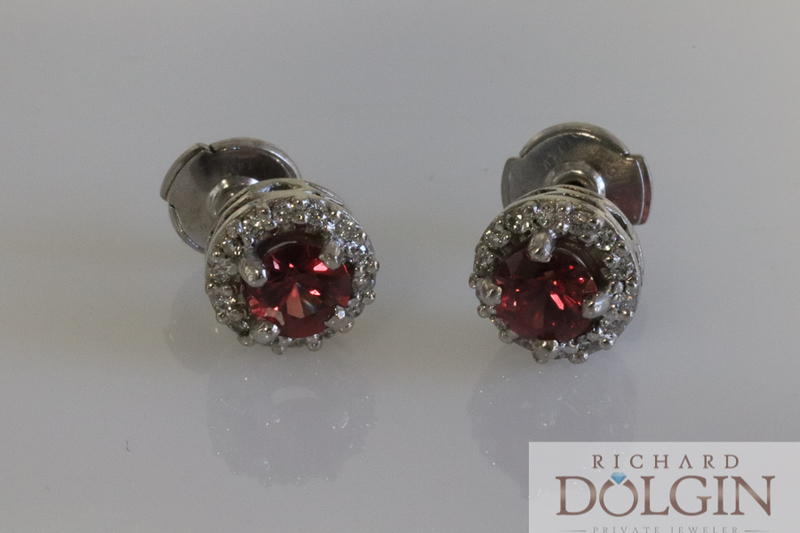 Red rubies are actually corundum, the same mineral as sapphire. Due to this immense range in color, sapphires are wonderful gemstones to highlight in custom jewelry. The wonderful thing about all of these colors of sapphire is that they are very durable and extremely wearable on a daily basis. They are a 9.0 on the Mohs scale and are very resistant to abrading on the surface. Sapphires can be cut in very shape including oval, emerald cut, round, pear shape, trilliant, cushion, and square. Sapphires have been used in jewelry for centuries, dating back to Greek times. Sapphire is definitely my favorite colored gemstone. It is my favorite because of its wearability, the choices you have for so many colors and the mesmerizing brilliance they carry when cut properly. For these reasons we have been accumulating a wonderful selection of sapphires. We have been working together to design unique custom jewelry pieces to highlight these magnificent stones. In stock at this time we have purple, blue, pink, red, yellow and green sapphires set in a variety of jewelry pieces. Here are some examples of our newest selection. 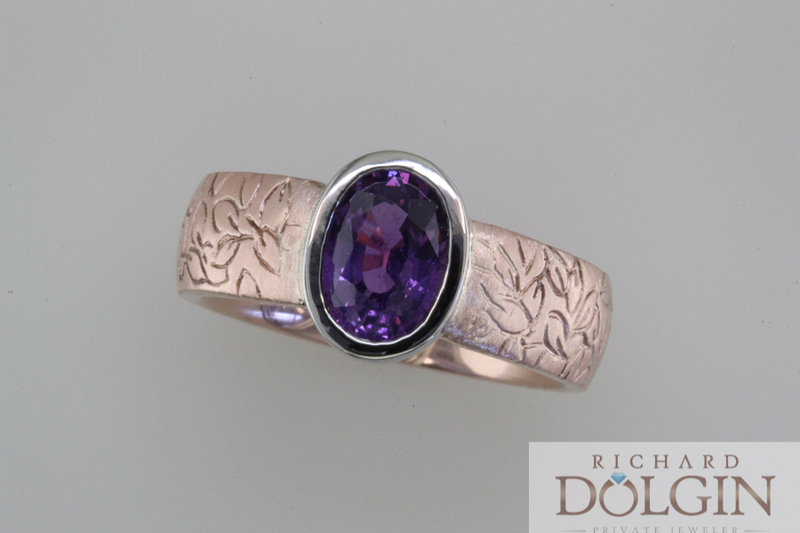 In our custom designs we have been combining many different color metals with the sapphires. We have found that combing the rose gold with purple, peach and pink sapphires really highlights the color tones of the gemstone and makes a unique and beautiful piece of jewelry. I personally love platinum or white gold with blue sapphires as the blue and white combination is striking. 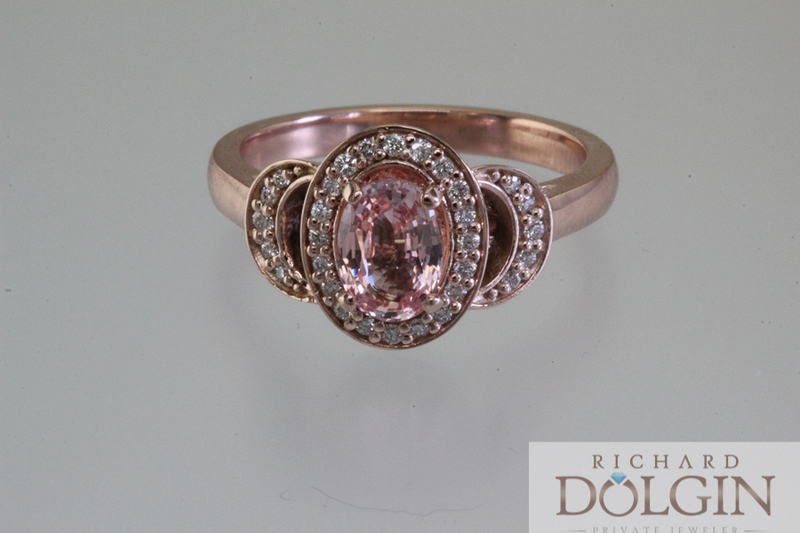 Yellow gold can also compliment rubies and pink sapphires giving them a very rich appearance. 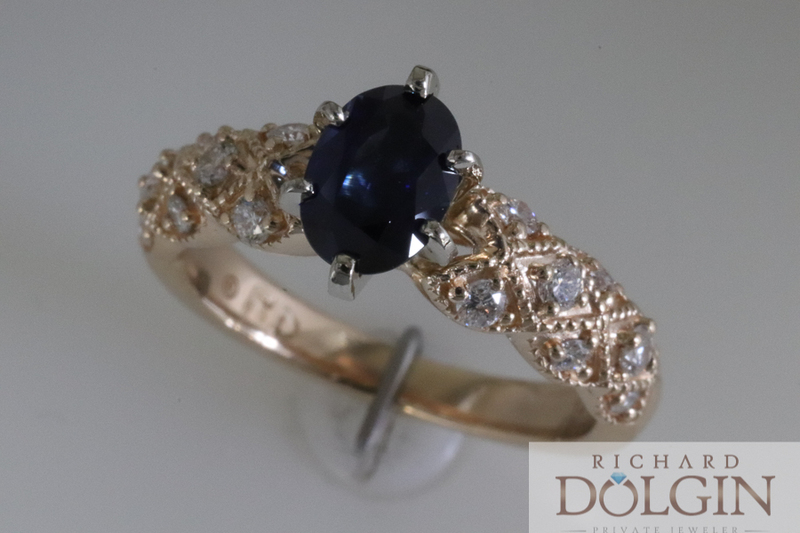 It is really fun to use our imagination to come up with the proper design and metal color to make each sapphire gemstone into a true piece of art. 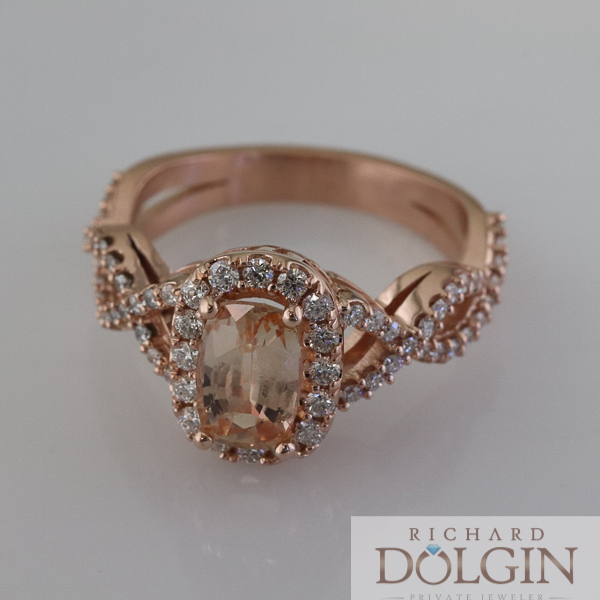 Whether you have a September birthday or are just looking for a very special piece of jewelry for an important occasion, stop in to Richard Dolgin Private Jeweler to view our beautiful sapphire collection. I really believe you will be impressed.